Why would you want to trust your life to someone with whom you don't have a personal relationship? How strong of a bond do you have with your primary doctor? Have you ever wanted to ask your doctor a question but didn't because you felt uncomfortable? 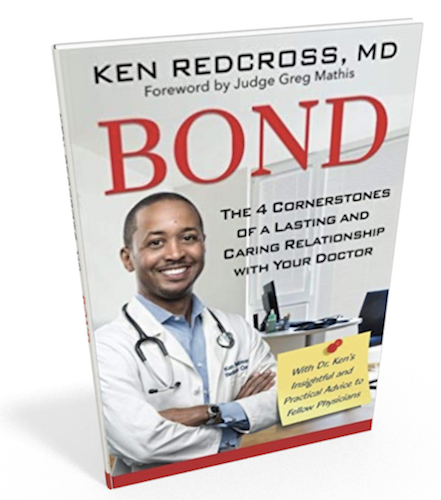 Dr. Redcross is concerned that the patient-doctor bond is now on faulty ground and that healthcare happiness is much more difficult to attain. No relationship can survive for very long without trust, healthy communication, mutual respect, and a willingness to be empathetic on both sides of the stethoscope. Dr. Redcross shares his nearly 20 years of experience and breaks down the four cornerstone qualities that are essential to creating a life-long patient-doctor bond. What Are The Four Cornerstones? These cornerstone qualities are essential for any healthy relationship to flourish and are especially important between doctor and patient to bring the happiness back to health care (what Dr. Redcross calls “Patient Nirvana”). These cornerstones lay the foundation for a strong patient-doctor bond. If one quality is missing, they are all on shaky ground. A “one-on-one conversation” with Dr. Redcross where he shares some of his thoughts surrounding common patient questions to help you broach similar topics with your own doctor. Dr. Redcross is a board-certified Internal Medicine physician. He completed his medical training at the prestigious Columbia-Presbyterian Medical Center in 2001, followed by providing care in Oxnard, California. He then transitioned to Cedars-Sinai Medical Center in Beverly Hills, during which time he received the Man of Valor Award from the NAACP Youth Council for excellence in medicine. 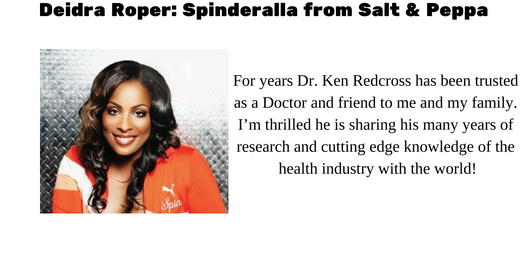 He created his Concierge practice in 2007 and established Redcross Communications, Inc., under which he provides medical education. Dr. Redcross has made several appearances on major television networks, including The Doctors, Entertainment Tonight, The Insider. Dr. Redcross has made several appearances on major television networks, including The Doctors, Entertainment Tonight, The Insider, CNN and HLN.